Crystal clear highs, spectacular attack and decay, uncongested midrange and bass response sufficient enough for most types of music pairs with sleek design and excellent comfort to make for a superb headphone offering worthy of a $200 price tag. Last year, Bowers & Wilkins set foot in the headphone market again with its C5 in-ear headphones. In our review of the C5, we praised the company for developing a well-designed, stylish and sweet-sounding set of canal phones worthy of their premium price. Though an outstanding first effort, we couldn’t help but feel at the time that the complexities involved with in-ear headphones might have held the C5 back from showing off Bowers and Wilkins’ signature sound as well as, say, an on-ear or over-ear model might. We can now put our theory to the test. 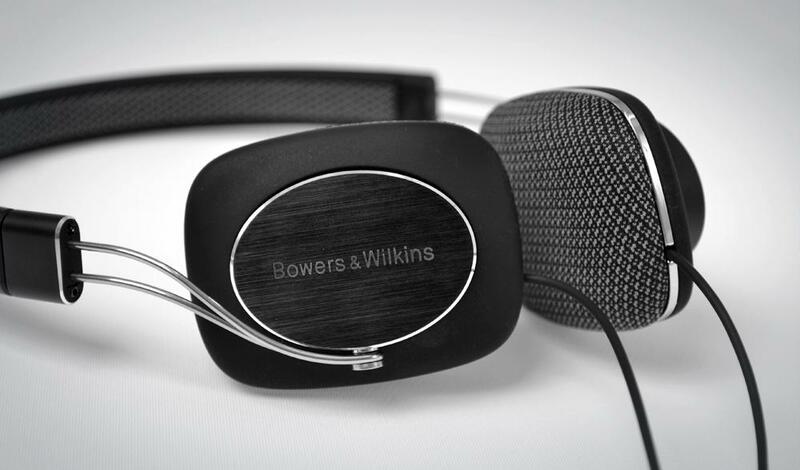 Bowers & Wilkins recently sent us its new P3 on-ear headphones. Introduced in May 2012, the P3 are positioned to be comfortable enough to wear all day long with no fatigue. But wearability doesn’t mean much unless the sound quality is equally comfortable. Read on for our full analysis of the P3 for our take on whether this new headphone is as comfortable as we might be led to believe, and whether its sound quality is as premium as its price point would infer. If we had shiny little plaques to hand out in recognition of a superior out-of-box experience, we’d give Bowers & Wilkins a crate full of them. This is a company that could take a kid’s juice box and package it in such a way that you feel like you just received a bottle of 1961 Chateau Latour (for the non-wine-heads out there, that’s, like… a really nice bottle of Bordeaux). The P3 and included accessories are packaged within a rather large, glossy black plastic box with etched printing. Inside we found a semi-circular, clamshell-style hard case that takes up a hearty amount of space and isn’t easily portable, but is sure to keep the P3 safe from any damage. Within the case we found the P3 headphones and an alternate set of headphone cables (without an in-line mic or controls for phones). Whether it was from the P3’s smell (yes, they do have a scent…something akin to that “new car smell,” only better), the feel of their soft rubber, or the clink of their cool, brushed aluminum, these headphones oozed a high-end feel without being flat-out ostentatious about it. The P3 look great without going over the top, too — proof positive that it is possible to look classy without needing to shove it in someone’s face. We’ve already mentioned some of the P3’s luxurious materials, but we haven’t yet gotten to the one design point Bowers & Wilkins spends a good deal of effort talking about: the material that ensconces the business end of the earphones. This stuff is meant to have been selected for its acoustical properties first and its comfort as a close second. Whatever the approach, it works for us. The cloth doesn’t seem to get in the way of the sound and the soft, breathable material is exactly what our ears needed in order to stay cool and dry over long listening sessions. That same material is wrapped around the padding on the headband which, to the touch, doesn’t feel like it would be all that comfortable. However, the P3 are very lightweight and, for us, they exerted the perfect amount of clamping force so we never noticed any pressure from the headband at all. One of the more interesting design points is a pair of magnetic, removable earpads, which conceal the connection point of the headphone cables. The P3 come with a headphone cable outfitted with an in-line microphone and three-button control already installed, but for those who prefer a standard cable, making a swap is a pretty simple affair. The result is an extremely clean look with strain relief that is as effective as it is invisible. The P3 are outfitted with 30mm drivers which, as Bowers & Wilkins explains, were developed from the ground up for the P3. Some of the more unique design points include ultra-neodymium magnets, proprietary damping material drawn from the company’s loudspeaker designs, and a unique venting approach that is meant to reduce distortion, thus providing a more natural sound. We broke the P3 in by wearing them and listening to them constantly. Sure, this is a relatively uncommon approach to headphone break-in for us, but once we put the headphones on, we didn’t want to take them off. We noted a few sonic changes over the course of the first 40 hours of use — most of which occurred in the bass region — but, otherwise, the break-in effect was relatively minimal. We found these headphones to be supremely comfortable for long-term wear. Granted, individual experiences will vary but, for us, the highly breathable earcup fabric and lightweight nature of the headphones kept our ears dry and free from fatigue. 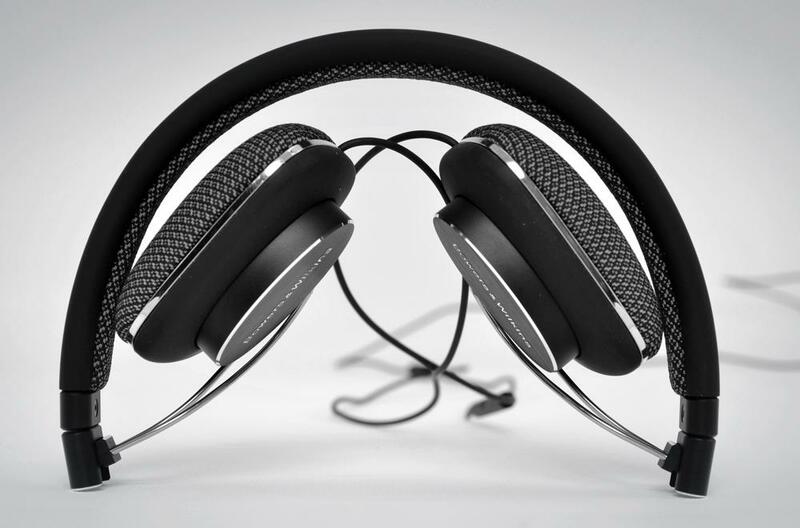 The P3 are certainly some of the most comfortable headphones we’ve ever evaluated. Having spent so much time testing bass-centric ear gear lately, it took us a moment to bring our ears back around to neutral territory. An overstimulated nerve has a tendency to cause the brain to desensitize itself in order to calm that sensory input down. People who eat spicy food all the time (ourselves included) must eat increasingly spicy food in order to get the same effect. Such is also the case when it comes to auditory stimuli. In other words, the more you pound your head with bass, the more bass you’re going to need in order to feel the keep the effect up. Conversely, the more you pound your head with bass-heavy earphones, the more likely you are to sense an absence of bass when listening to more balanced headphones. Fortunately for us, it only took us about 1.5 hours of listening to relax into the P3 and hear all they had to offer without lingering influences getting in the way. Since we’re already standing on the topic of bass, let’s talk about the P3’s bass performance. If you haven’t already gathered, the P3 do not follow the trend of bass-heavy headphones designed to appeal to today’s urban/street/younger/hip-hop/insert-term-of-your-choice demographic. In fact, sub-bass is barely present at all, let alone at the forefront of the mix. This came as no surprise to us, considering the size of the drivers in use and Bowers & Wilkins’ historical tendency toward a more balanced presentation. Still, the P3 are capable of putting out a satisfying level of musical bass, with one little quirk. Bass performance changed noticeably as we shifted sources from our iPhone over to a HeadRoom Micro Amp. With the standalone headphone amplifier, bass was noticeably more prominent across all test tracks than it was with the same tracks as played on our iPhone. Apparently, more prodigious power results in more prodigious bass — go figure! Still, we did note a bit of a mid-bass hump living somewhere in the 200Hz to 300Hz neighborhood which seemed to remain present through most of our bass-heavy test tracks. D’Angelo’s “Brown Sugar” from the album of the same name came across with just a little too much thickness surrounding the bass. We heard the same thing while listening to Damian Erskine’s treatment of “Maria Cervantes” from his Trios album. Yet, when we shifted over to listen to Joni Mitchell’s live album, Shadows and Light, bassist Jaco Pastorius’s tone was clean, meaty and without unwanted resonance. Our takeaway here: Recordings with electric bass guitar mixed in heavily and toward the front will get a little too heavy-handed a treatment from the P3. Otherwise, we found the slight hump lent just a touch of warmth and needed presence to recordings with otherwise lean low end. While the P3’s bass performance did show some inconsistencies, we found the rest of its performance range to be spot on. In fact, on the whole, we enjoyed the P3’s sound tremendously. Here’s why. These headphones’ treble performance hits all the right notes for us. Those with some high-frequency hearing loss (the first thing to go as we age, you know) may want for slightly hotter highs, but for those with normal to sensitive hearing, the P3’s are a welcome island of detailed, juicy highs amidst a sea of overblown, artificially hot treble that has flooded today’s headphone space. The attack and decay these headphones pull off is nothing short of exemplary, giving percussive transients a tantalizing impact and stringed instrumentation a haunting, lingering presence. Midrange response? Loved it. We were concerned that the slight hump in mid-bass might impact the lower register of some vocalists, but we did not find that to be the case. Going back to Joni Mitchell and bringing in Jamie Cullum, we noted vocal performances — even those which were very closely mic’d — came through clean and balanced with no undue chestiness or bloat. Of course, our experience changed once we realized that moving the headphones around on our ears had a pretty dramatic impact on how they wound up sounding. With the headphones positioned too far forward on the ear, we noticed that the mid-bass hump we were hearing was exacerbated to a level where it did start to crowd vocals and, simultaneously, high frequencies were undesirably rolled off. With the headphones positioned too far back on the ear, we noticed that high frequencies took center stage, midrange slid back a bit and bass lost a bit of its richness. 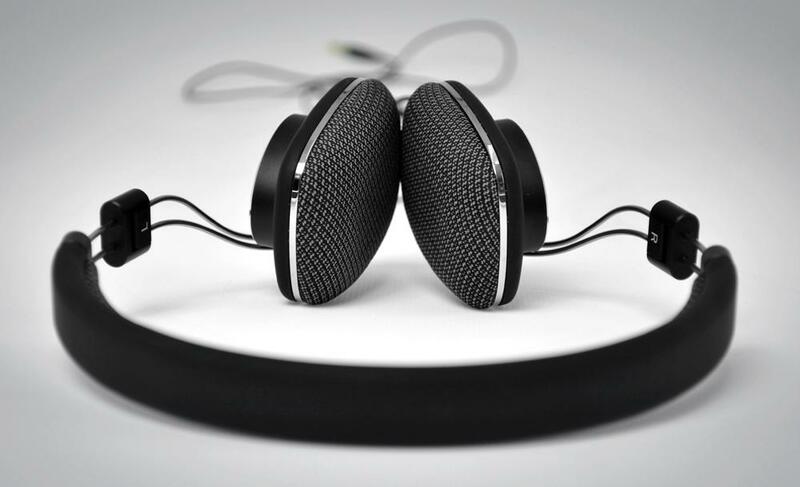 There is a money spot — and it will vary in position on individual ears– where the headphones sound the most balanced. For us, this best represents Bowers & Wilkins’ signature sound. There are some other quirks to be aware of with these headphones, too. For instance, we still don’t like the feel of the in-line microphone’s control buttons. There isn’t enough tactile feedback to let you know that you’ve successfully pressed a button. Also, the headphone cable is a bit on the thin side for us, if only out of concern for the durability of the cable. We recognize that this small gauge is what allows the cable to sneak up into the ear pad inconspicuously — a design tradeoff we can live with. Finally, the P3’s design doesn’t lend well to passive noise isolation. While we had no problem tuning into our tracks as we listened, moderately loud ambient noise had no problem bleeding through. Though this probably isn’t much of a liability in everyday listening scenarios, it does mean that the P3 won’t be the best choice for listening during air travel or in particularly noisy public places. The Bowers & Wilkins P3 are every bit an audiophile’s headphone. Crystal clear highs, spectacular attack and decay, uncongested midrange and bass response sufficient enough for most types of music pairs with sleek design and excellent comfort to make for a superb headphone offering worthy of a $200 price tag. While we always recommend any pair of headphones before committing to purchase, we think many will find the P3 to be a spectacular option for critical music listeners.